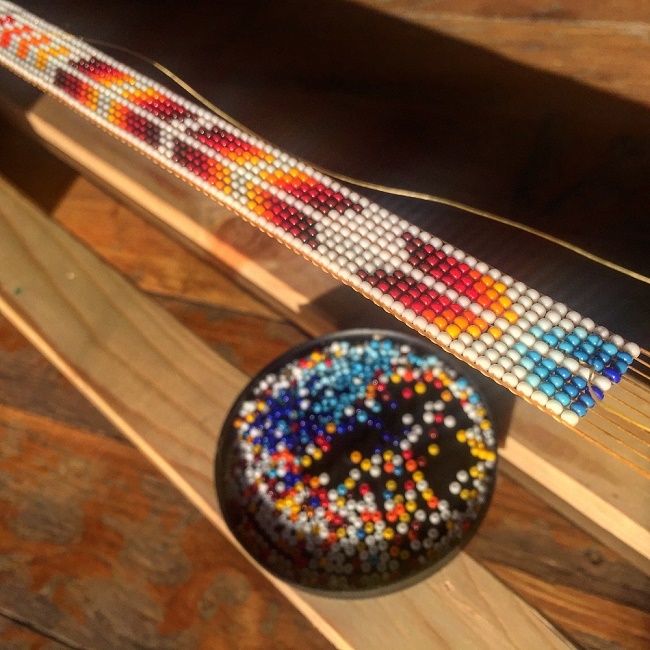 This traditional craft of bead-working will teach lessons in earring/bracelet making. Each person will l take with them their beadwork and some beautifully intricate knowledge of these traditional ways. Chela Lujan grew up in Ganado, AZ, in the sage and red dirt of the Diné (Navajo) Nation. Her mother Charlotte fell in love with the intricacies and traditions of indigenous beadwork and was passed down knowledge by Diné artist Henry Warren. Loom Work Bracelet's is a great intro for beginner beaders. How to finish work bracelets you take home. Small looms will be provided. They are also available for purchase should those wish to continue their new skills after the fest. Materials Fee- $15 paid to instructor on site.